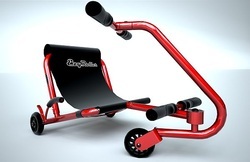 Ezyroller Junior is ideal for kids aged 2 to 4 years old. More product details by clicking here. Watch a video of the Ezyroller Junior here. Purchase online or from one of our retailers.